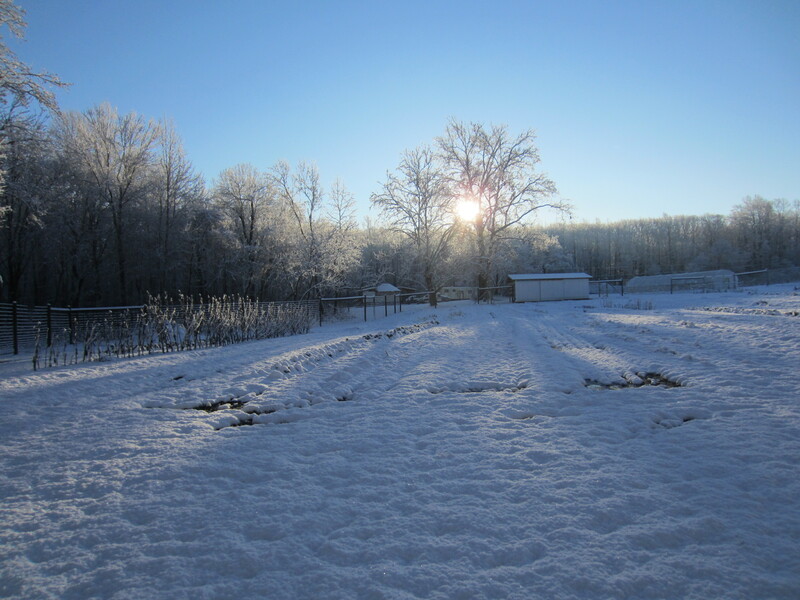 Winter arrived at the farm last week with our first snow. 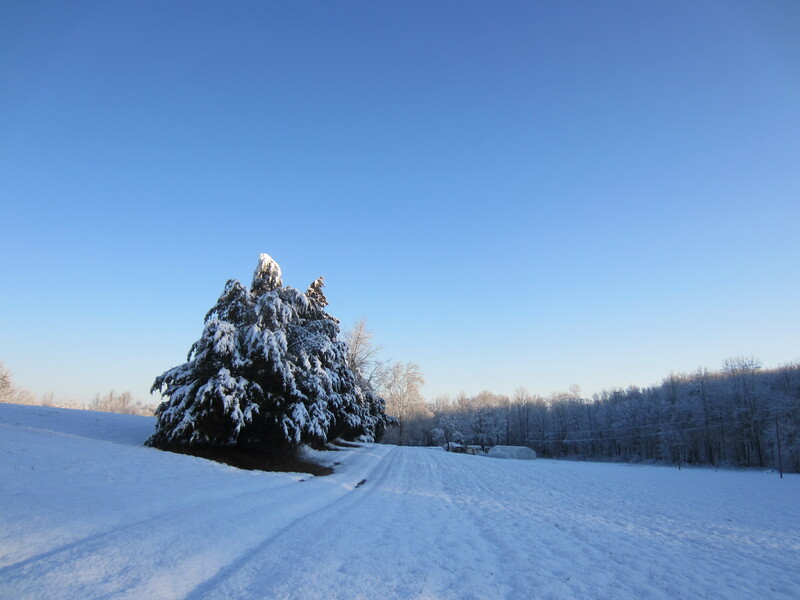 Is there anything more magical than the morning after the first snow? Especially when you don’t have to worry about getting out of our half mile long driveway. 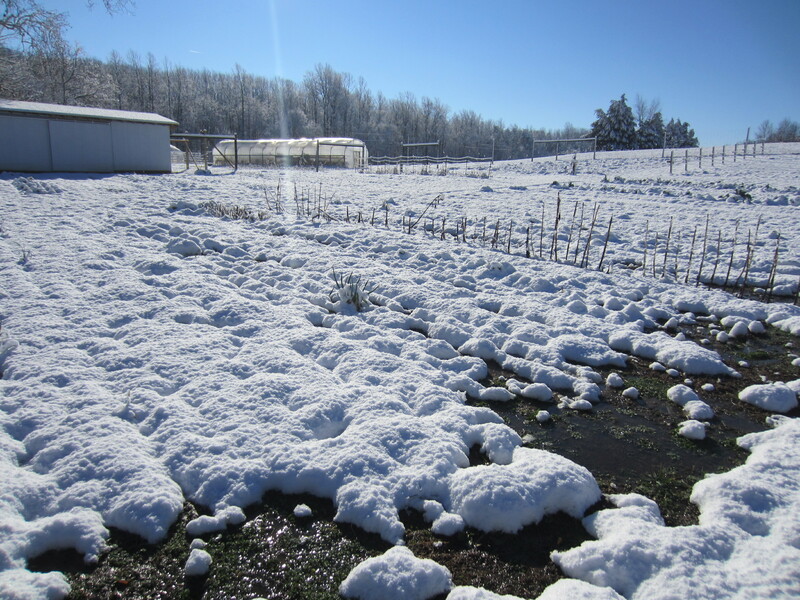 We had about 4″ of very wet snow, which the high tunnels had no problem shedding. Before the snow it had rained for several days straight so our soils have been very saturated. All the rain and snow is causing standing water in the garden. We didn’t have our rain gauge out so it’s hard to say how much rain we got in addition to the snow. 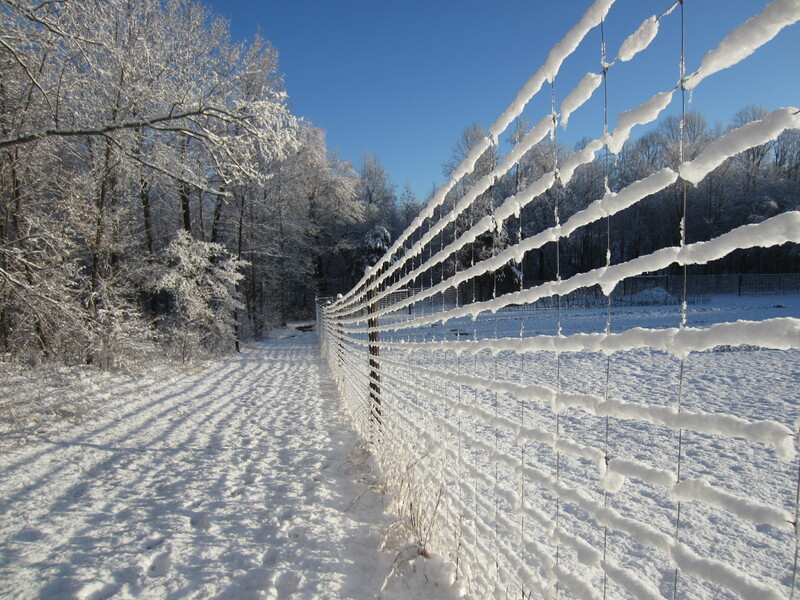 Last night the temperature dipped to 12 degrees, which might be our coldest night this winter. Nonetheless it is time to get going with the new growing season. I have started enough seed flats to fill up the light bay in the yurt. 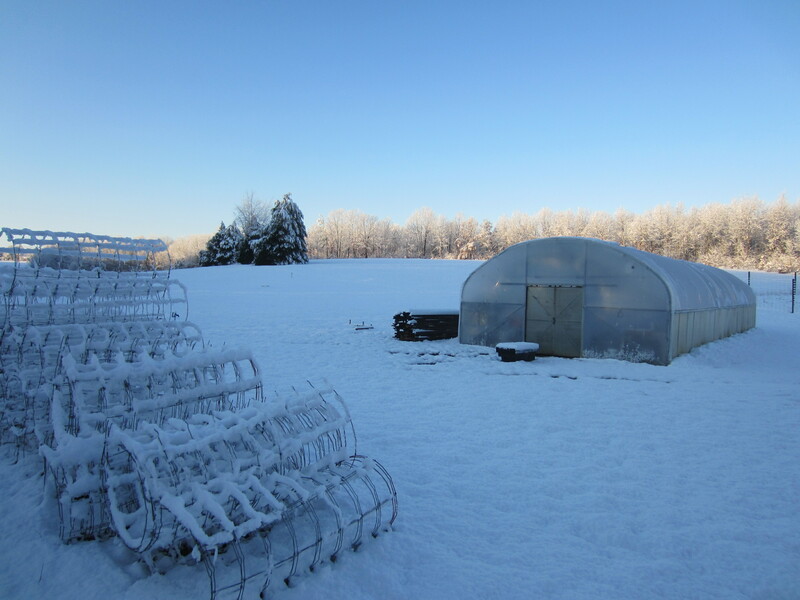 They germinate better with higher temperatures, so we have been keeping the yurt a little warmer than we normally do. Yes, the seeds’ comfort is more important than our own! 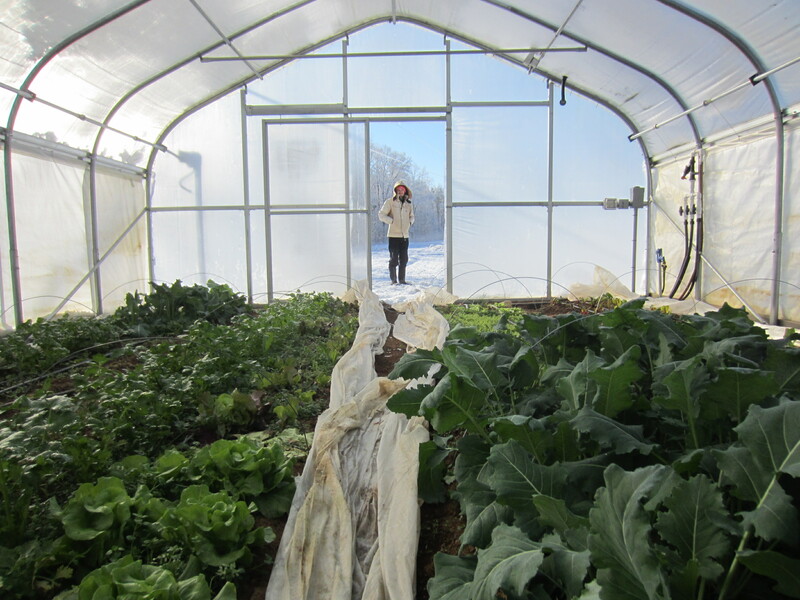 What a marvel it is to have green things growing in an unheated structure with snow on the ground outside. Gavin has made good progress on the shed additions. 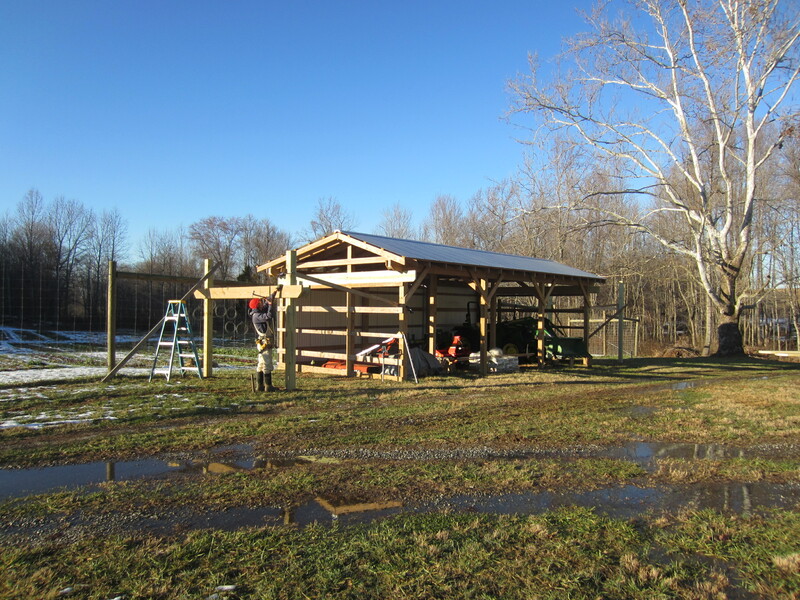 In another few days’ work he’ll have the metal on the roof and then it will be on to the high tunnel construction. 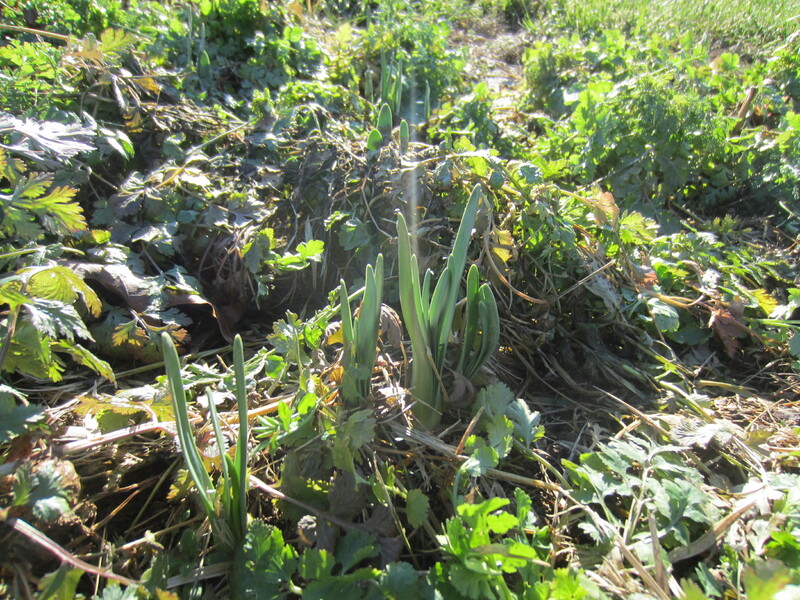 The snow is all melted now, and I spotted these narcissus coming up in the garden yesterday. Spring is coming! In other news I spent a little time last week working on the website. If you visited over the past few days you may have noticed a different look. But I changed it back! Too much change at one time I suppose. 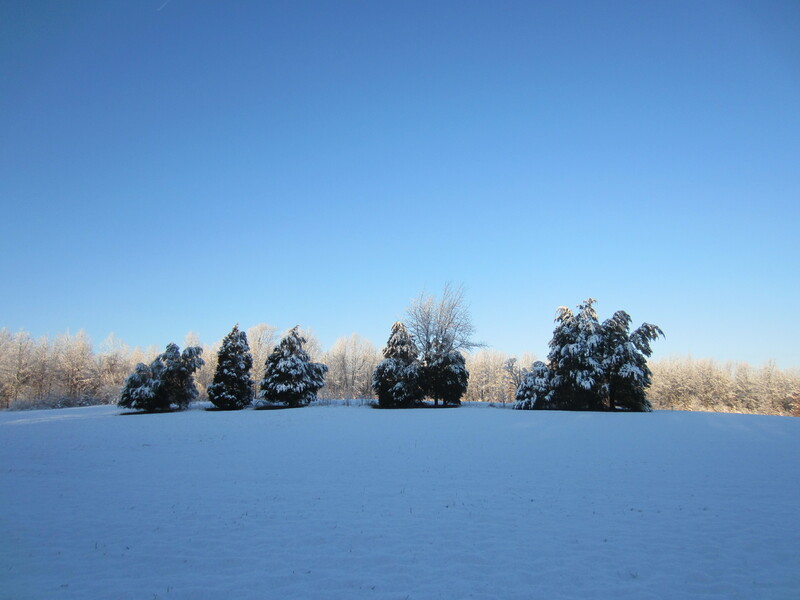 Also, Sandyfoot Farm is on Facebook now. I have to admit I am new to Facebook, I have never been a new adapter of technologies… but I know Facebook is a more convenient way to keep in touch for some people than the website/blog. ‘Like’ us over there to get the updates. I’ll try to keep both the blog and Facebook page up to date with all the haps. 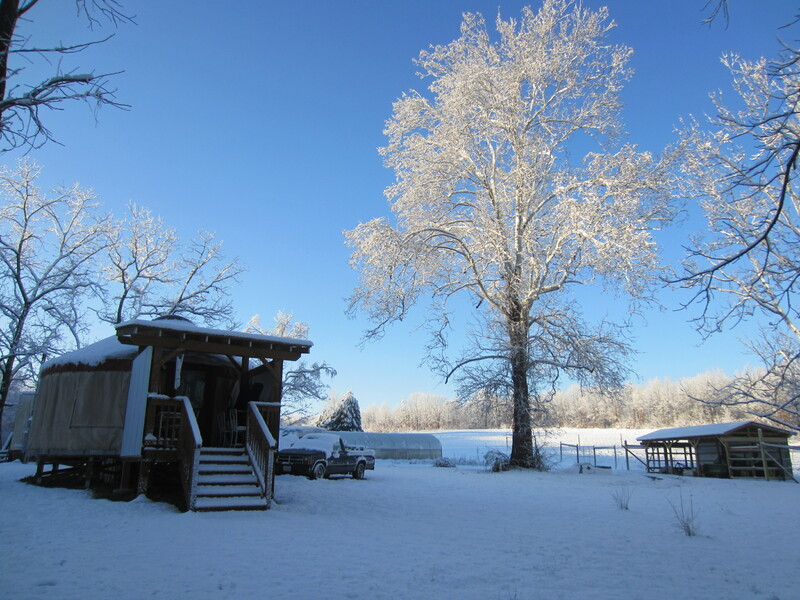 We still have several farm shares available, so if you are interested let me know! Connecting with a community of people who are as excited about fresh vegetables and eating with the seasons as we are is one of the greatest joys of our work here! Hi Doris, thanks for visiting the blog! I cannot imagine having such brutally cold weather for such a long part of the year as you do in Minnesota. I guess it makes the spring and summer that much sweeter. Hope your spring will arrive early this year! Hi to Loren!